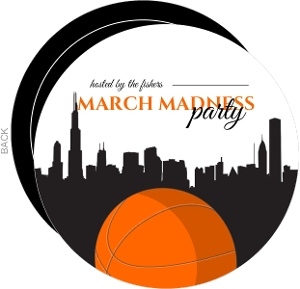 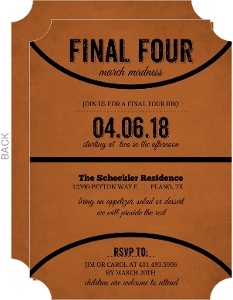 If you're hosting a party for the last 4 games in the college season, or the NBA championship, we challenge you to find Basketball Invitations like ours that offer all the customization and quality that we do. 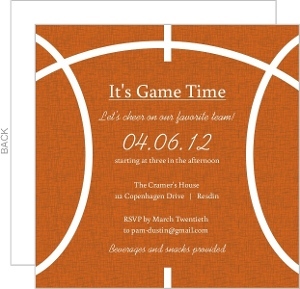 We love sports here at PurpleTrail (try to find a group of bigger Seahawks fans) and as such, we've created an assortment of cards for many parties and events surrounding sports, and the above is our dear Basketball Party Invitations. 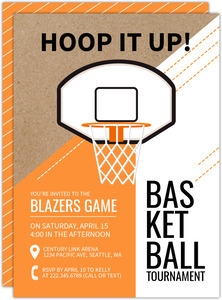 We may not have our own team right now up here in Seattle, but we're hoping soon. 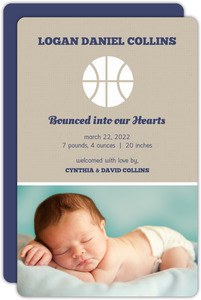 And when that happens, we'll be at the stadium, cheering on the home team. 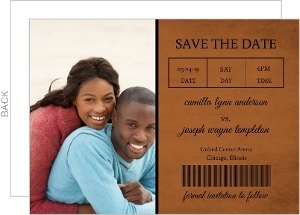 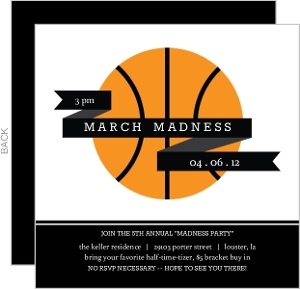 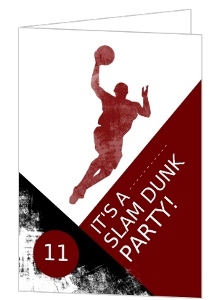 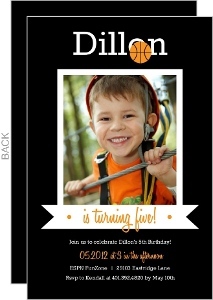 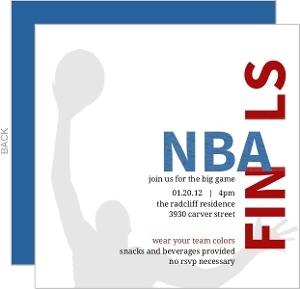 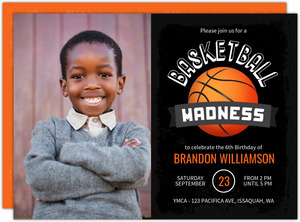 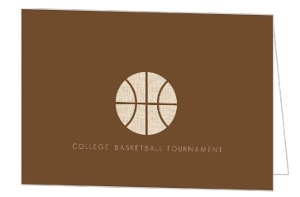 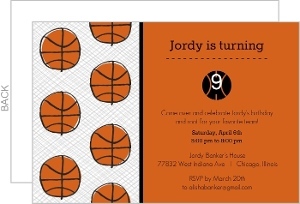 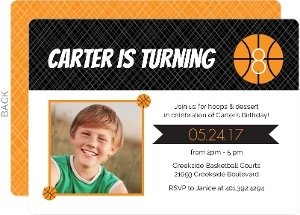 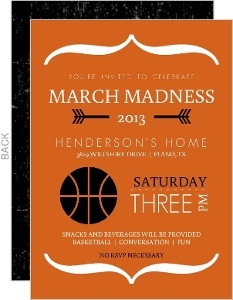 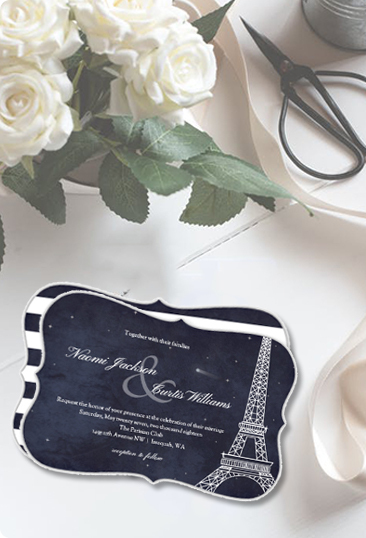 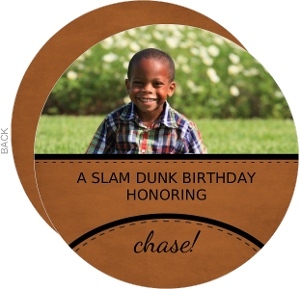 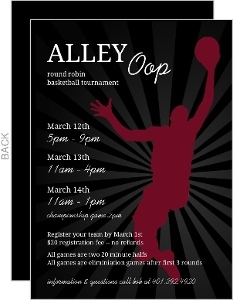 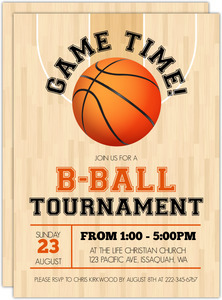 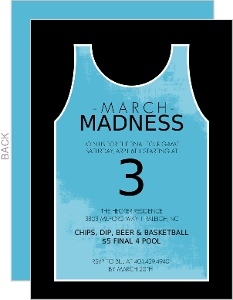 If you do the same, invite all your friends, colleagues, and family to the game or party with Basketball Party Invites that we custom printed just for you. 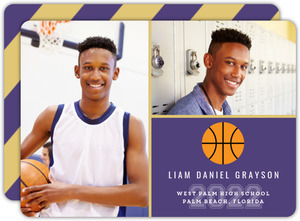 Remember that each of the above cards is custom, so changing them to the colors of your team will be a snap!